A home provides us the relaxation moments when we come there from the work and feel tired. It also provides us the comfort and security that we cannot feel anywhere else. Everyone wants to improve the quality and standard of his living place. For that desire, many of us think about to shift to a new place of shelter where we can get the world’s best luxuries and comforts. And to complete these wishes, there is nothing better than the luxury apartments in the big cities. The urban life in dream cities like Gurgaon provides us a wide range to choose from the best and comfortable house for a prosperous living. The best luxurious projects in Gurgaon constructed by high-end developers are bringing the world-class luxuries and barefoot comforts together while adopting green techniques in their dream projects. For the home seekers, Gurgaon presents an unmatched quality lifestyle which spreads urban colors and vibes like foreign cities into their lives. With the widely spread IT sector and well-developed social infrastructure, you can get an excellent network of hi-speed roads in this region. Whether it is quality education, sources of entertainment, great quality of taste, movies or the best medical facilities, you are in the middle of everything if you decide to buy an apartment in Gurgaon. Bringing iconic multi-stories towers in the excellent location of Sector 37 D, Gurgaon, BPTP Spacio is one of the premium projects in this locality. For the home-enthusiasts looking for a palace like a living will make it their first choice. The complex is full of lavish and splendid amenities and you don’t need to go anywhere else while enjoying the extraordinary facilities provided in this township. 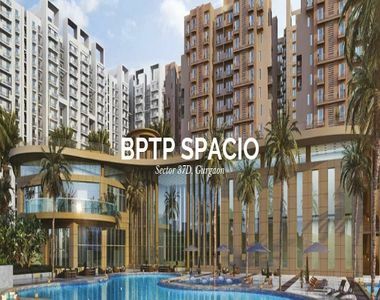 The 2 and 3 BHK luxury apartments at BPTP Spacio Gurgaon, vary in size between 1000 sq. ft up to 1800 sq. ft. All the units present a superb example of great architectural designs and look like a dream house that everyone desires. The gorgeous spacious balconies in these premium homes provide eye-pleasing views of water features and lush greens while allowing super air flow and natural sunlight. 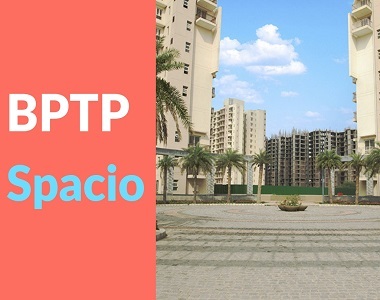 The development at BPTP Spacio Sector 37D provides seamless connectivity to commute to all important landmarks of NCR. Located close to the Dwarka Expressway, this complex is in close proximity to all the important areas of public utilities. The exclusive BPTP Spacio Price of these premium homes is in the range of INR 45 lakhs to INR 77.40 lakhs. This is a perfect place of shelter having the world’s best comforts and luxuries. 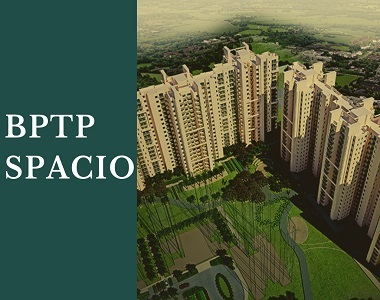 The homes in BPTP Spacio Sector 37D come with the external amenities like Olympic length swimming pool, kids’ play area, clubhouse, gymnasium etc. and to facilitate the residents there is an under construction hospital with a 250-bed capacity, Euro international school, shopping center, and many other provisions are available in the premises. BPTP launches another Residential project in Gurgaon. Called BPTP Amstoria, this new residential project by BPTP is located in sector 102 Gurgaon, on dwarka Expressway. The project is spread over 126 acres land and is surrounded by 4000 Trees in sector 102. BPTP Amstoria offers 3 and 4BHK luxury villa. Investment starts from Rs 10 % only and investors can choose from multiple options of payment plan.